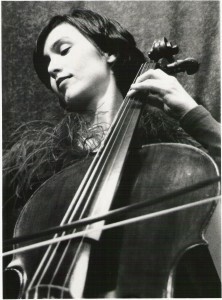 Cellist Amy Leung graduated from the New England Conservatory in Boston, and earned her Doctor of Musical Arts Degree as a Guarneri Fellow at the University of Maryland. She was Associate Clinical Professor at the George Washington University and served on the faculties of the University of Virginia, where she directed the UVA Chamber Music Series, and the University of Utah where she was Artistic Coordinator for the Virtuoso Series and the Sundays@7faculty series. She is Assistant Professor of Music at Dixie State College of Utah in St. George. Dr. Leung has given master classes and lecture/demonstrations at Beijing Central Conservatory, Georgetown University, Hong Kong University, Hong Kong Urban Council, ASTA/ESTA International Workshops in Graz and the Duke Ellington School for the Arts (Washington, DC). She helped develop an educational program for the Kennedy Center Education Division aimed at elementary school children and was involved in creating a similar program entitled “Quartet Conversations” at the Smithsonian Institute. Dr. Leung has performed with the Emerson and Guarneri Quartets, the Kennedy Center Theatre Chamber Players, Washington Musica Vivaand the Washington Bach Consort, directed by J. Reilly Lewis, with whom she performed Bach’s Gamba Sonata in G major in a nationally-televised event at the White House. An enthusiastic performer of new music, Dr. Leung took part in the Toru Takemitsu festival at the Library of Congress and has performed the music of Bright Sheng with the composer at the piano. She won the Kranichsteiner Musikpreis für Interpretation at the Internationales Musikinstitut Darmstadt. As a founding member of the Coolidge Quartet Dr. Leung performed throughout the United States in such venues as Weill Recital Hall at Carnegie Hall, Jordan Hall in Boston, MIT Guest Artist Series, Carolina Chamber Players and the Meadowmount School of Music, as well as in Europe, China, Hong Kong, Guatemala, Israel and Australia. They studied with the Emerson and Guarneri Quartets and participated in Isaac Stern’s Jerusalem Chamber Music Encounters, the Aspen Center for Advanced Quartet Studies and the Pablo Casals Festival in Prades, France. The quartet won prizes in the Fischoff and Yellow Springs National Competitions and recorded for the Classico Label (Olufsen Records). Dr. Leung has played in the National Symphony Orchestra and the Washington National Opera Orchestra, was been a member of the Hartford Symphony and the Schleswig Holstein Festival Orchestra. During the summer she plays in the Grand Teton Music Festival in Jackson Hole, WY.